Full service Microsoft Access development and support. Traditional and Cloud implementations (SharePoint, SQL Server, Azure). 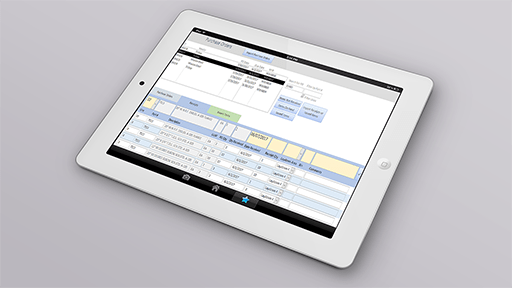 We make Access data accessible on mobile devices (PowerApps). Experience in 15 industries ranging from retail to manufacturing. Like many of our clients, you may be experiencing process or data issues due to growth in your business. These issues can sometimes cause frustrated employees, dissatisfied customers or a lack of key data required for good decision making. We partner with clients to solve these types of issues every day. ThesisTech provides full service application development including process mapping, application design, development, testing and project management. For clients who may not have a physical server network, SharePoint can serve as a virtual network, enabling a flexible multi-user environment for Access. 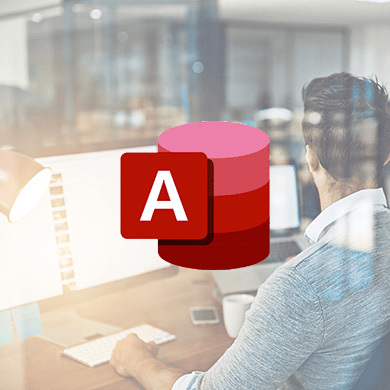 A Microsoft Access application can use SQL as its database service for clients who have a SQL environment or have large amounts of data. This SQL database can reside in the cloud. We use Microsoft PowerApps to make Access data available to Web and Mobile users. An Access application can combine desktop and web/mobile functionality. We can assist in upgrading your database application from an older version of Access. We can also repair database issuesthat may be causing errors or impacting database speed. If you do your own Access development and support but occassionally need some help, our on-call support service can help with the tougher issues. 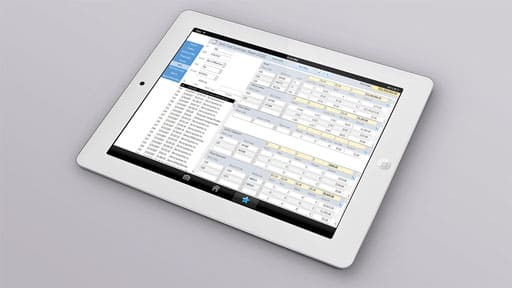 We work with you to seamlessly integrate your database application with other important applications such as Quickbooks, CRM, Excel or other business systems. Many of our projects involve converting data and workflows from one system to another. We carefully address each detail to insurea a smooth transition. Our Access experts have developed every possible report format. We can help you add new reports and insights for an existing database application. To develop sophisticated charts in Microsoft Access, we will often embed an Excel object right in the Access application to benefit from Excel's enhanced charting. 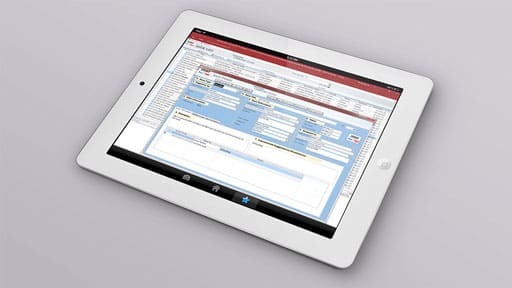 Forms are critical for any Access application because they define the user interface and set the workflow. We design forms for speed and efficiency. Access Queries provide many powerful ways to view and organize data within your database application. Ask about our Access training options. Microsoft Access plays an important role in our full range of custom software solutions. The rapid-development tools provided with the Access platform allow us to implement complex database applications in 3 to 5 weeks or less. Access is a windows application and runs best on a PC or a tablet which runs the full windows operating system. Access is a great fit for business processes which involve heavy transaction processing or a high level of calculation logic (inventory control, material requirements planning, scheduling, quoting etc). Access is a relational database application. Our clients choose a database solution when the related data is complex or requires a high level of organization that cannot be accomplished with a spreadsheet application. When the scope of a project can be clearly defined, we will provide a statement of work and a fixed quote. When the scope is less defined, we can also work on a time and material basis. Once a project is kicked off, the first deliverable will be an Application Design Document for your review and approval. This document includes a data model, sample reports and sample forms. Throughout the development process, we will provide frequent updates, getting your input as forms and reports are developed. After an application is implemented, we stand by our work and fix any issues that may arise. If you are interested in seeing more of our recent access development and integration services, please contact our Microsoft Access developers at (888) 705-7253. At ThesisTech, our business system consultants take pride in helping all our clients improve their business through Custom Access Database Applications. This application is a full CRM system for a web-services company. New leads are logged and tracked along with all followup activities for each lead. 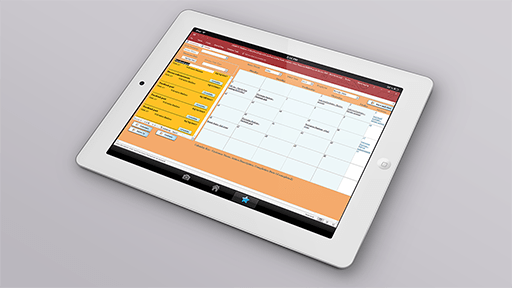 Once a project is confirmed, contracted services are scheduled and tracked using a highly functional services calendar. This application was developed to collect and process all safety issues in a large manufacturing plant. Issues are logged by employees or managers and followed until final resolution. This application tracks the costs associate with large equipment turn-around projects. Project costs are tracked by Invoice and by Work Order. Reports and Queries allow the client to analyze costs from various viewpoints. Our Client needed an application to track inventory throughout their plant locations. This Application allows the users to track purchased inventory which is applied to various inventory locations. Inventory issued to production is also tracked and inventory balances are maintained. 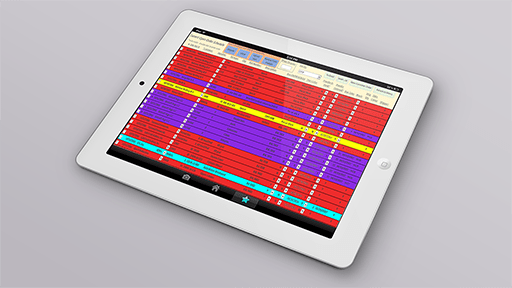 This application was developed to manage the production schedule, shipping and invoicing for manufacturing. The main production schedule is shown on a big screen on the production floor. The colors assigned to each job indicate the real time status of that job.